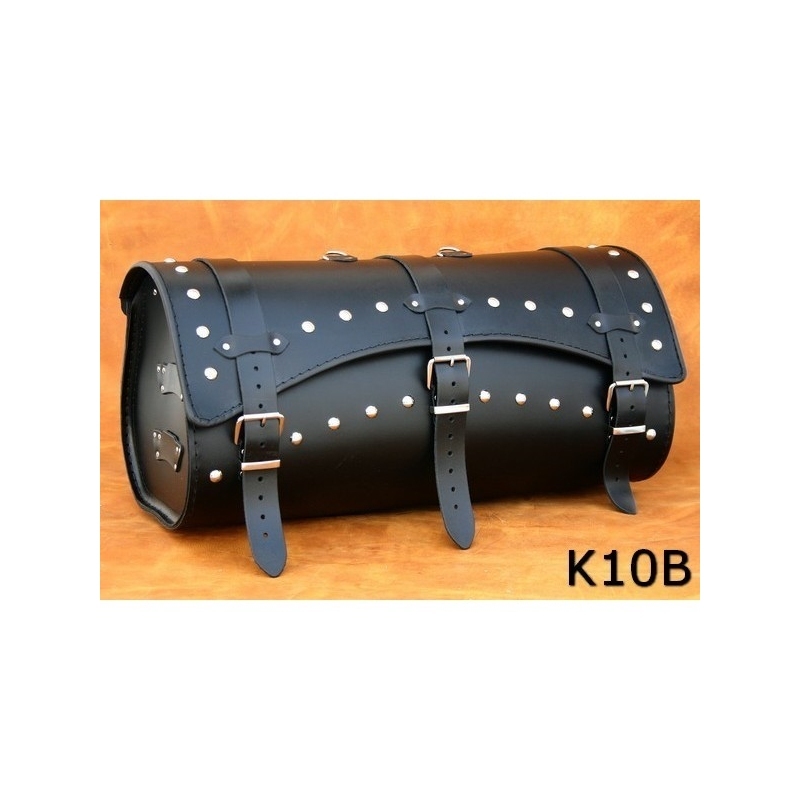 Rear bag is made of cowhide leather with thickness 2 mm. 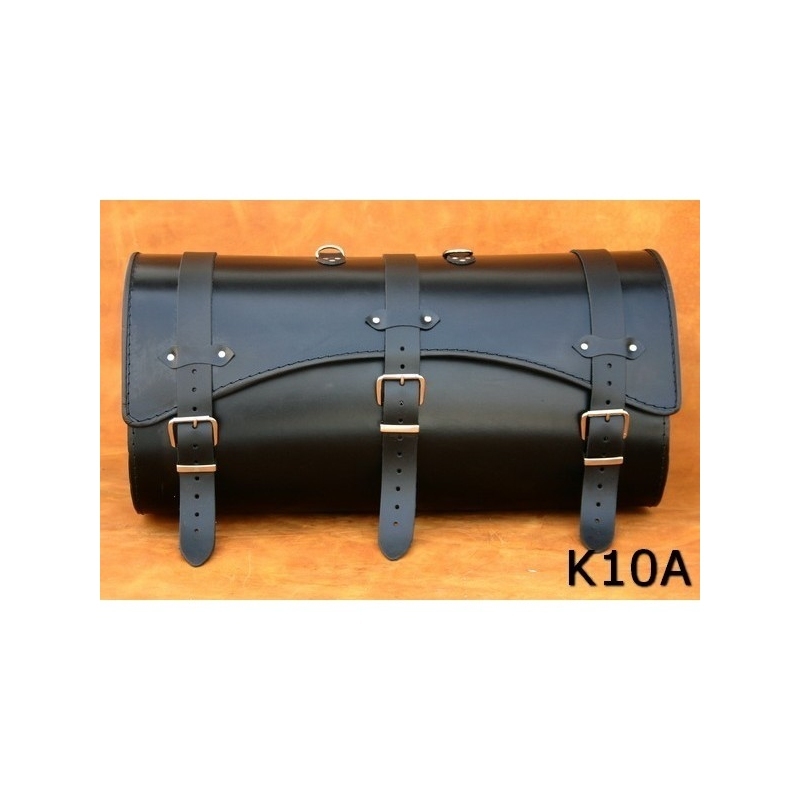 It is whole reinforced with 2mm thick hard plastic, so it retains its shape. The sides prepare for pockets - you can also order for 30 euro/pair. 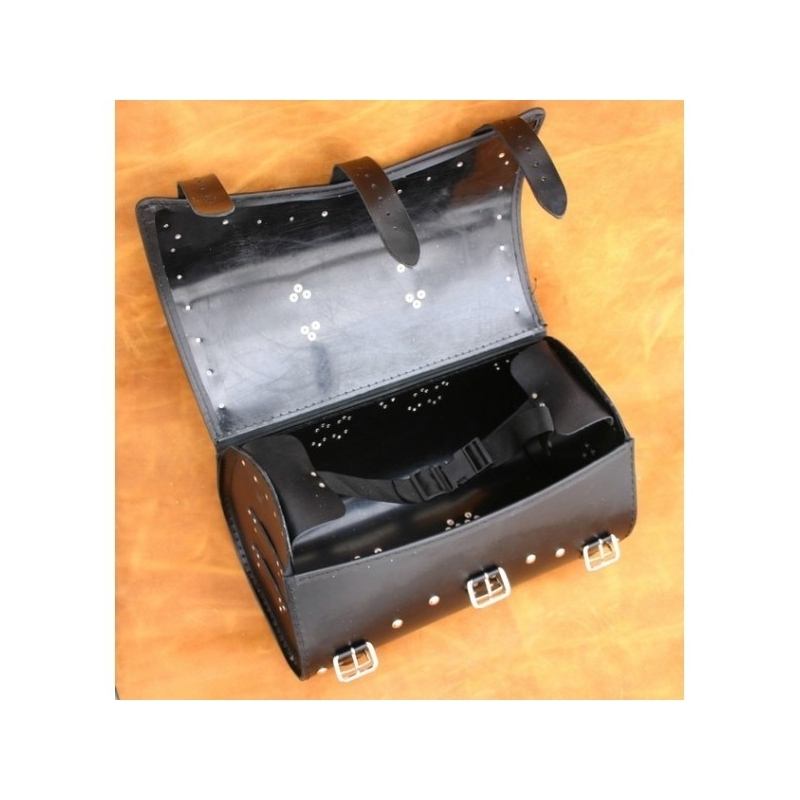 Supplied with mounting materials and spare buckles, rivets and studs.